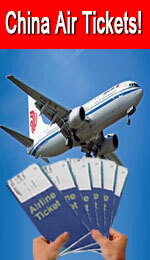 Search China Air Tickets, Price and China Flights schdule, book Cheap China Air tickets online ! Hotel Based on two persons sharing one room with twin or double beds. All meals as specified in the itinerary. “B�? stands for western breakfast “L�? for Chinese Lunch in local Chinese restaurant. “D�? for Chinese dinner in local Chinese restaurant. “SD�? for special dinner or banquet dinner. “Show�? Means the evening Show like Peking Opera and Acrobatic Show in Shanghai ect. The quotation is basic on the above normal meals. If you have any special request about meals, like Vegetarian, or special food etc, please inform us in advance. Between airports, train stations, hotels and scenic spots while sightseeing in by the private air conditioned vehicle with your own driver and English-speaking guide. They only provide service for your party. No others will join-in. As outlined in the Itinerary will be escorted with English-speaking guide.The English-speaking guide and driver of each city accompany you throughout the entire tour in that city. They do not go with you from one city to another. To scenic spots Fees all included as listed above in the itinerary. All portage fee from Train station / Airport to Hotel / Train Station or Airport. TTP (Tibet Travel Permit) etc. Expenses of a purely personal nature such as laundry, drinks, fax, telephone call, optional activities, sightseeing Cable car fee will be by yourself if you want take it. or meals which are not included in the Item 2. Any meals which are not specified with “B�?, “L�? or “D�? "SD". Tips to guides or drivers. Tipping has become a common practice in China, but it is entirely voluntary. The following is just for your reference to tip the tour guides, drivers and the hotel bellboy, if they have delivered a real good service. You should pay the deposit for settle the booking, which is 20% of total cost. The balance of the total tour fare is due 15 days prior to the departure date. If your payment is not received by the due date, the reservation will be subject to cancellation without notice. If a booking is made within 15 days of the departure date, full payments are due once you confirm the tour. B. We accept Wire transfer, Paypal and Western Unoin. l Payment by wire transfer: The above quotation does not include the transfer fee/banking processing fee. The transfer fee is on your own. We recommend you pay by this way. It saves your transfer cost between Banks. It’s about USD40 per time. If you want pay by this way, please let us know we will email you our Bank Details, show the details to the Bank Wire Transfer Manager they will do it for you. l Payment by Western Union: the additional transfer fee will be charged on your own. After you finish the payment, please provide us the MTCN (which is very important). l Payment by PayPal: 4% transfer fees charged by PayPal should be added. If you cancel your booking 15 days ago there will be no cancellation policy added. If you cancel within 15 days, we will make prepayment as cancellation charge. 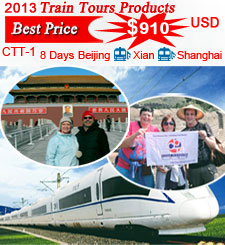 * Better discounts are available when traveling in a large group. Please Contact Us for the better group rate. * Note: Small deviations in the tour program are sometimes necessary, depending on weather, road conditions, flight schedules and room availability.